Finland, which stayed neutral throughout the Cold War, shares an 800-mile-long border with Russia, and has an often-difficult history with its neighbour. “We have a long history with Russia — not that peaceful all the time. 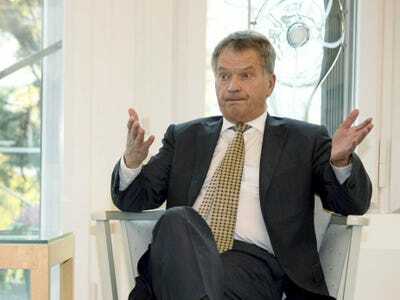 So everything the Russians are doing, surely the Finns notice and think very carefully about what that might mean,” Finish President Sauli Niinsito told The Washington Post in an interview. Finland’s concerns over a Russian invasion may not be entirely far fetched. Finland had previously been an autonomous Grand Duchy in the Russian empire for 108 years until the country became independent in 1917, after World War I. During World War II, the Soviets invaded Finland and annexed 11% of the country’s territory. This history has contributed to an uneasy relationship between the two countries. Despite joining the European Union, Finland has maintained a centrist relationship with the West and with Russia. But Russia’s increasingly bellicose direction may force Finland to seek additional security through NATO.